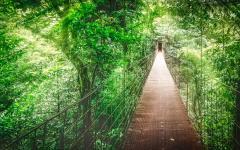 Discover the reasons why vacationing in Costa Rica is so popular on this customizable experience spent exploring the unforgettable scenery. 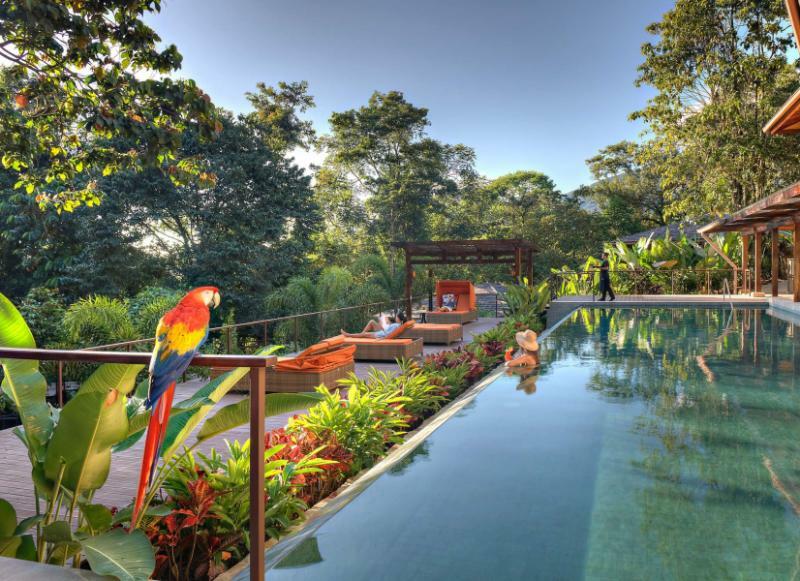 Scour the trees for toucans and scarlet macaws perching in the canopy, and walk with the rare Blue Morpho in a garden dedicated to the preservation of the Costa Rica’s vibrant butterflies. Wander through lava fields and soothe your body in relaxing hot springs, embrace the excitement of finding waterfalls, and find the thrill of flying on a zip line. 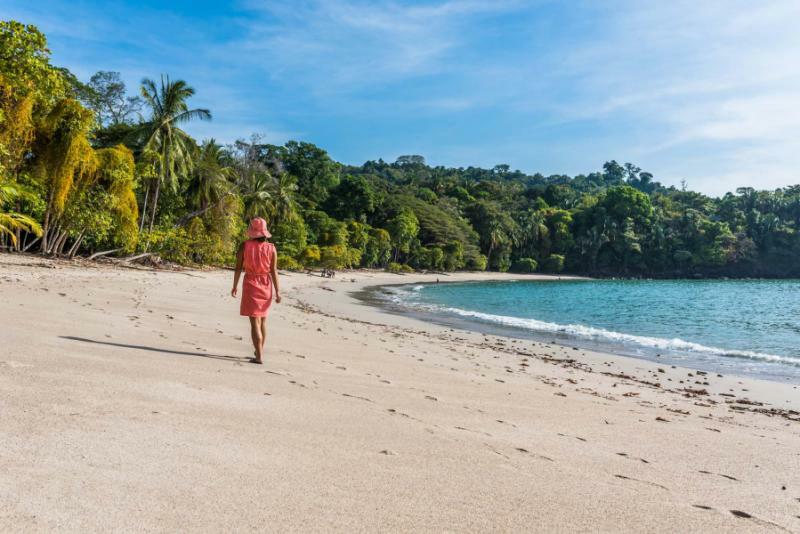 From organic farms to private reserves, national parks to volcanic peaks, your time spent in Costa Rica will leave you relaxed after your amazing adventures. 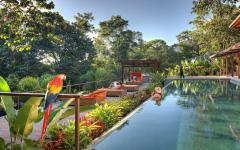 For further inspiration, consider browsing our other Costa Rica vacations to create your perfect trip itinerary. Your Costa Rica vacation immerses you in picture-perfect scenery on a 9-day tour, allowing you to embrace beaches, mountains, and volcanoes. Your vacation begins with your arrival at Juan Santamaria International Airport in San Jose where your private transfer greets you and escorts you from the airport to Arenal, a celebrated region known for its natural hot springs. Enjoy the luxury of your resort hotel and spend time in the beautiful thermal springs. 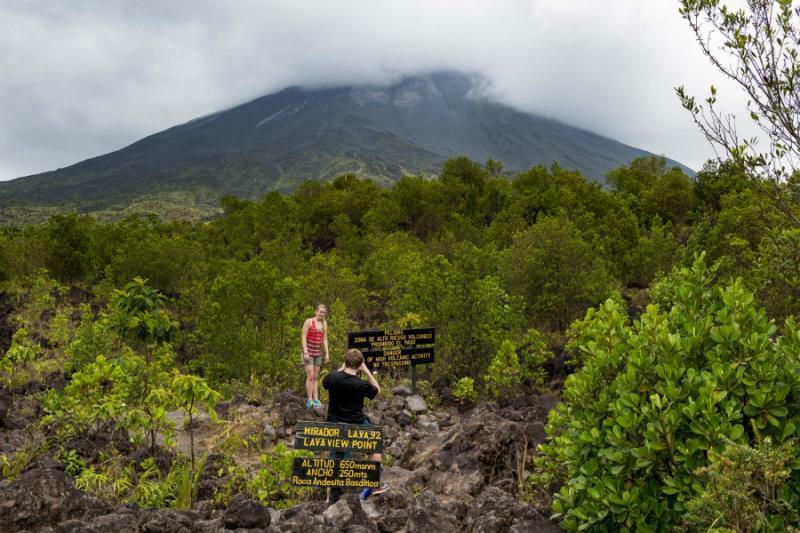 The following day, your guide greets you in the hotel lobby and leads you on a remarkable tour of Arenal Volcano National Park where you will walk along lava fields and discover the flora supported by the mineral-rich soil. 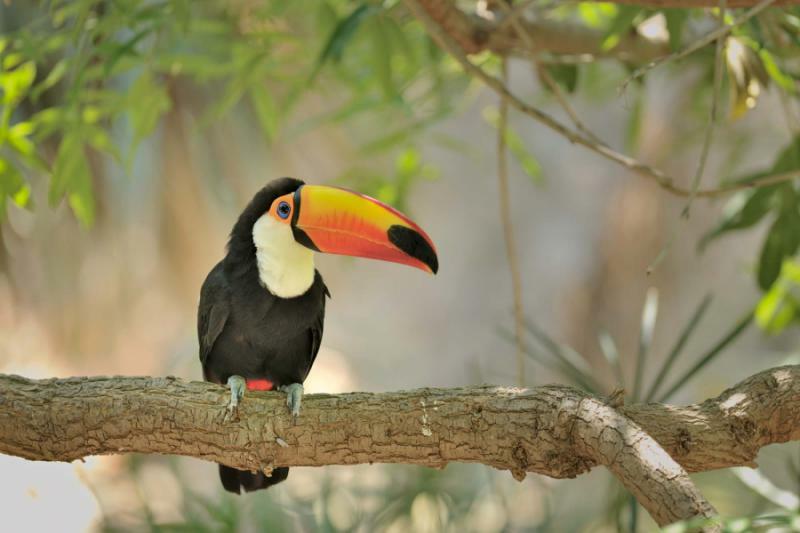 The next day, you will set out on the waters of the Peñas Blancas River and enjoy a tranquil rafting excursion where you will search for crocodiles and sloths, spoonbills and hawks before returning to your hotel. In the morning, you travel across Lake Arenal on a boat for a fabulous scenic ride to the opposite sides of the humanmade lake. Your jeep transfer takes you into the gorgeous Cloud Forest of Monteverde in time for a sunset hike. With your guide by your side, you will search for the unique fauna of the highlands that emerge at night. 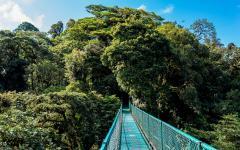 The following day, you wander along the hanging bridges of the Tree Top Walkways. 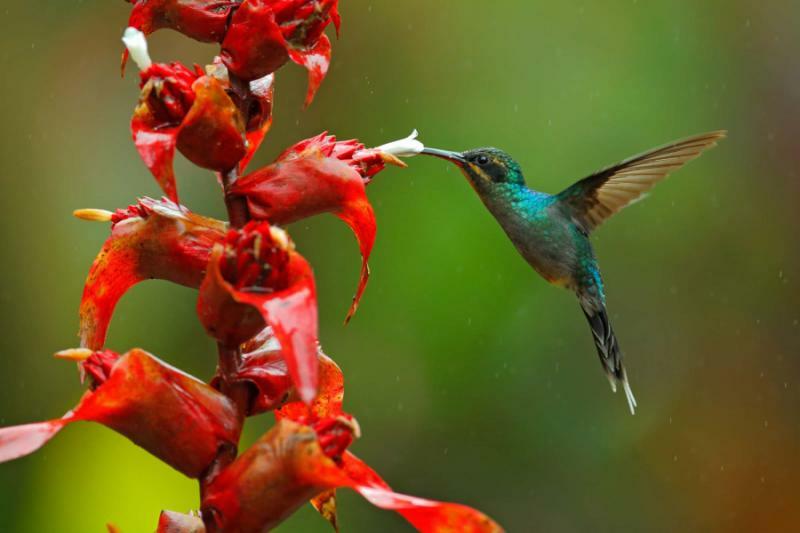 Visit the butterfly and hummingbird gardens to accentuate the wonder of the natural life found within the cloud forest. 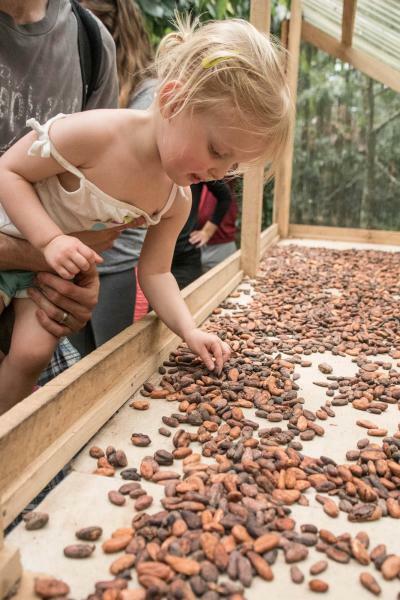 In the afternoon, you visit a coffee, sugar, and chocolate plantation to learn about the process of harvesting and cultivating the coveted treats. 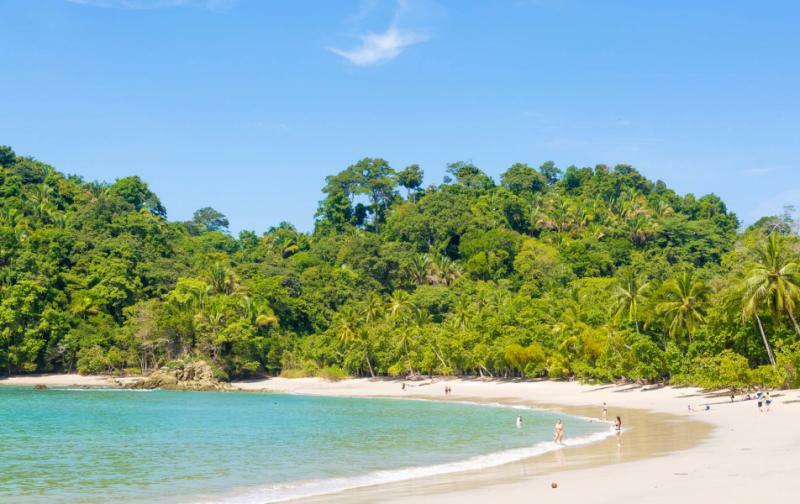 Your private transfer greets you at the hotel the next day and escorts you to Manuel Antonio National Park on the Central Pacific. 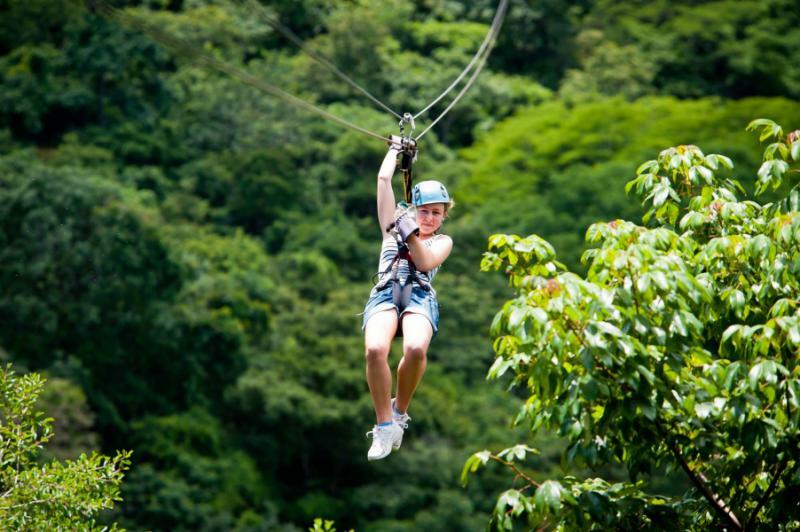 Stop en route for a magnificent zip line tour allowing you travel across one of the longest zip lines in Costa Rica. Your journey continues as your private guide leads you on a fantastic tour of the primary and secondary forest of the national park before taking you along the pristine, white beaches. Mount a horse for an unforgettable tour passing through plains, farms, and forest. Follow the trails on foot to reach the Tocori Waterfalls, where you can enjoy a refreshing pineapple in the calming scenery. On your final day, you return to Juan Santamaria International Airport by private transfer to check in for your flight home. San Jose shines with a unique ambiance of Central American culture and neoclassical grandeur. The neighborhood of Amón emanates the prominence of plantation owners of the 19th and early 20th century through the mansions lining the streets. Many of the former prestigious buildings have been converted into hotels and restaurants, with gorgeous art deco and Victorian architecture offering a pleasant ambiance through which locals of San Jose can stroll. Your flight lands at Juan Santamaria International Airport where your private transfer greets you and escorts you out of the Central Valley. You pass colorful markets and homes. School children walk alongside the street wearing uniforms connoting their class year. The buildings become more sporadic along the roadside as the road winds through the mountainous terrain along emerald trees and precipitous cliffs. Large, light brown, ring-tailed coatis scour the underbrush in search of food. The green ridges slope into the banks of Arenal Lake and bougainvillea drapes across houses and restaurants. 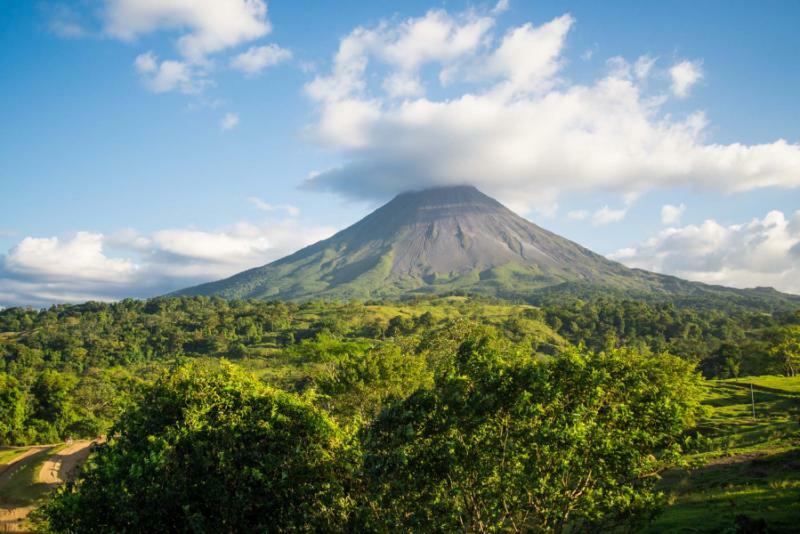 Periodically, clouds drift overhead, drawing your eye to the spectacular view of the perfect cone-shaped peak of Arenal Volcano. You check-in to your luxury hotel and take the time to relax in the rushing water of the natural thermal springs heated by the subterranean volcanic activity. 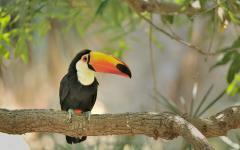 Our travelers' Costa Rica travel reviews can tell you more about what to expect. In the morning, you will feel relaxed and rejuvenated after spending time in the heated stream coursing through the grounds of your resort. At breakfast, you sip a cup of freshly brewed coffee, enjoying the refreshing aroma of caramel drifting from the cup. Your guide greets you in the hotel lobby after the meal eager to lead you on your first excursion in Costa Rica. For years the volcano was known for its nightly activity, spouting red-hot magma over the cone peak to give an orange glow to the night sky. Your guide leads you on the trails winding through Arenal Volcano National Park where secondary rainforest grows along the edges of the former lava fields. The tropical climate and mineral-rich soil support the quick growth of the underbrush and canopy that fills the nearly 800 square miles of the conservation area. The trees give way to an open plain resembling the savannah, and the grass grows tall and lush, waving in the gentle breeze. You walk nearly two miles before reaching the old lava beds offering insight into the volcano’s past eruptions. You follow the trail to view two craters that opened in an incredible eruption in 1968, the date for which the trail was named. The first crater to burst open measured 1,000 feet across. From the Lava Flow Summit, you can look up to the active volcanic peak for a spectacular view of thick-billed seed-finches and fluttering butterflies passing across the nearby cone. The region of Arenal is popular for the warmth of its springs and the beauty of the scenery filled with rich wildlife. At breakfast, the aroma of succulent mango and juicy pineapple overtakes the aromatics of decadent coffee. You follow your guide to the banks of the Peñas Blancas River after breakfast. You don a life jacket and step into the raft as it floats down the placid waters. 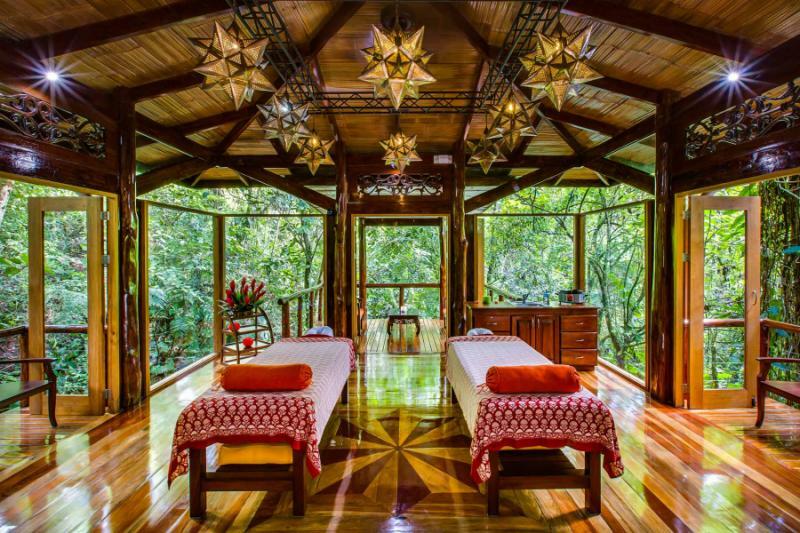 The sounds of the rainforest surround you. Boat-billed heron, with gray and white plumage contrasting their chestnut breast, perch on fallen logs. Water rushes down from the high altitudes of the Monteverde Cloud Forest, feeding the rainforest, hot springs, and waterfalls. Your guide points to a fallen log near the riverbank. You realize it isn’t a log but a crocodile lying in wait for prey. In the trees, a sloth blends into the bark, hugging the tree using its long, sharp claws for traction. Iguanas bask in the sunlight near the water’s edge. While floating down the river, you notice the beauty, charm, and picture-perfect ambiance of the rainforest. You dip your fingers into the river, and the water cools you, a refreshing contrast to the tropical heat. At breakfast, you enjoy the rejuvenating flavor of fresh coffee and sample the traditional Costa Rican breakfast of gallo pinto, rice and beans with fried eggs. After the meal, you take to the shores of Lake Arenal and step aboard a boat. The clouds drift past the cone of the volcano and the peaceful journey along the manmade lake offers a distinctive view of the shoreline and surrounding rainforest. Rainbow bass fill the water and leap at passing insects. The lake encompasses more than 30 square miles and reaches a depth of 200 feet. Sunlight shimmers across the water and casts a turquoise hue against the jade shoreline. You weigh anchor on the opposite shore and follow the road to Monteverde, settling into the quiet comfort of your luxury hotel. 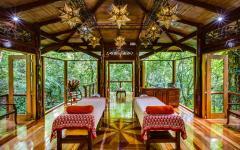 The eco-friendly lodge blends into the trees and looks out over the captivating cloud forest. You meet your guide in the lobby before sunset and set out to traverse the trails of the cloud forest in the Central Highlands. The foliage glows emerald in the fading light. Ocelots and jaguars wander through the more than 35,000 acres of protected land spreading across the Continental Divide. Your guide shines a soft light on the kinkajou, a rainforest mammal related to coatis and raccoons. The kinkajou can grow to a length of 24 inches and resembles a ferret with a prehensile tail. The clouds drift through the forest in the morning allowing the trees to grasp at the moisture left behind through moss and leaves. You travel into the canopy after breakfast to the Tree Top Walkways. 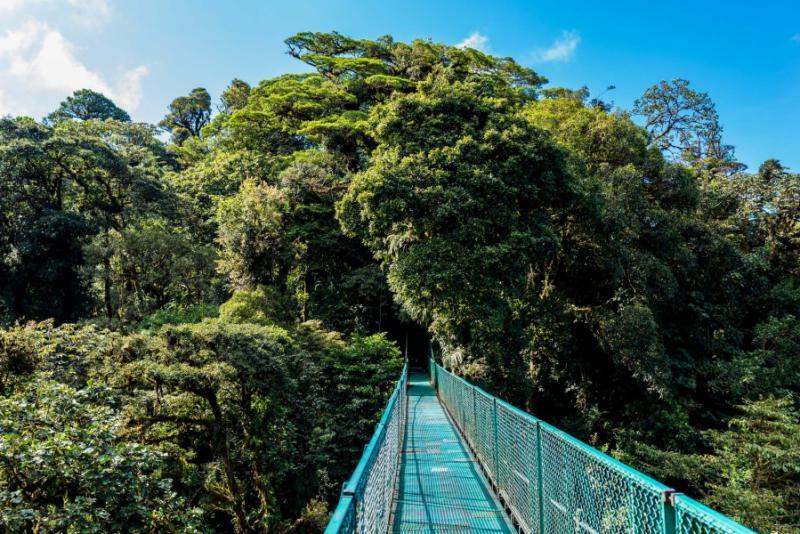 The trail travels nearly two miles through the cloud forest with spectacular suspension bridges leading you into the trees. Giant ferns radiate with rich hues as calla lilies grow wild along the underbrush, and orchids blossom in the shade of the forest canopy. Vines dangle from the taller branches as your guide points to the moss that helps capture the moisture from the clouds. The thinner atmosphere allows the tropical heat to pierce the trees. Brilliant light emanates from the treetops, allowing for a unique and unforgettable view. You continue into the butterfly garden to walk amongst the stunning colors fluttering beneath the 50-foot dome. More than 50 species of butterflies enjoy the enclosed space of the tropical garden where walkways wind beneath the blossoming orchids and flowers that attract the butterflies. You spot a collection of Blue Morpho butterflies, famous for the electric blue and black colors decorating their wings. 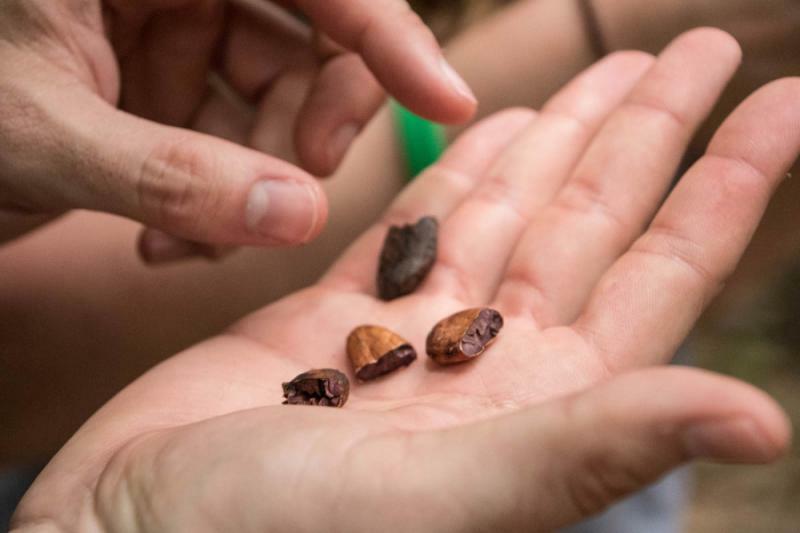 After exploring the forest canopy, you continue to a plantation to learn about the cultivation of coffee and chocolate in Costa Rica. 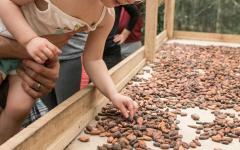 You discover the importance of drying and roasting the beans before consumption to bring out the natural, flavorful oils, and you help grind the beans by hand to produce a velvety, rich dark chocolate that melts in your mouth. The forest canopy captivates you with its idyllic expanse, marvelous colors, and stunning wildlife nesting in the branches. 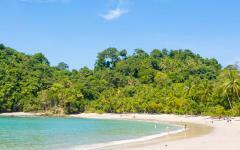 After breakfast, your private transfer escorts you west towards the Pacific Ocean and Manuel Antonio National Park. 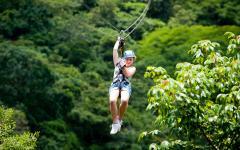 You stop en route to enjoy a thrilling expedition through the rainforest treetops on a zip line tour. You board a special tractor leading you through the forest underbrush to arrive at the first of 14 platforms. The cables between the platforms travel a distance of more than two miles. Your guide hooks you to the line, and you soar through the sky feeling the wind brush against your cheeks. From this unique vantage point, blending excitement with unparalleled views, you have an unfettered panorama of the canopy and surrounding life in the rainforest. You travel the longest cable in the area, which reaches a length of 2,400 feet as you embrace the feeling of flying. 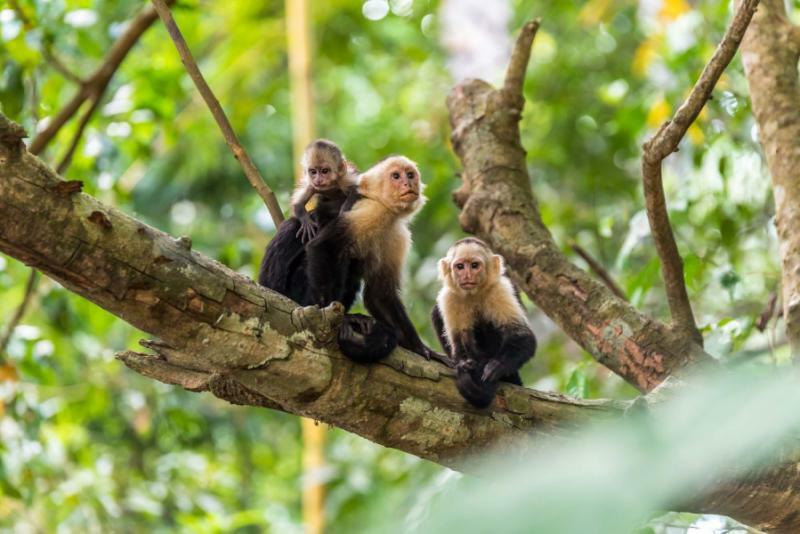 You notice a family of white-headed capuchin monkeys picking nuts and berries from the branches as they coil the edge of their prehensile tail, protecting it from predators and playful members of their troop. They seem unfazed by you as you zip past, reaching the distant platform. 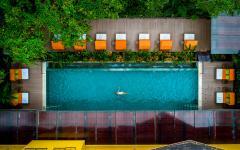 Wake up in the comfort of your resort that straddles the hillside of Manuel Antonio National Park and offers splendid vistas of the rainforest and of the shimmering Pacific Ocean. The cool morning breeze carries the aroma of the sea and the sweet fragrance of blossoming flowers. 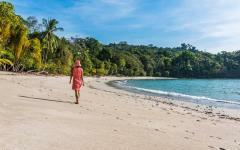 Your guide greets you after breakfast for an idyllic hike through the tropical rainforest and along the pristine white-sand beaches. Black spiny-tailed iguanas rest on the rocks in the refreshing cool air. A deep, guttural groan passes through the trees. At first, you worry a wildcat might be stalking its prey, but your guide quickly points to a howler monkey in the trees. Their call can be heard up to three miles away and helps discern the troop’s territory to nearby families. Motmots perch on the branches above, out of reach, with tassels adorning the edges of their tails. They wag their tail feathers as you pass, letting you know they see you as a possible threat. You spot a two-toed sloth between the branches, using the tree like a hammock to rest in the filtered sunlight. The trail leads you to the sandy shoreline where the water rushes against the white sand. You take off your shoes and dig your toes into the powdery, warm beach. The sound of the water is soothing, and the tropical heat feels less intense from outside the canopy. You stand at the edge of the waterline where the waves brush against the sand and notice the warmth of the Pacific where the water reaches an average temperature of 70 degrees Fahrenheit. 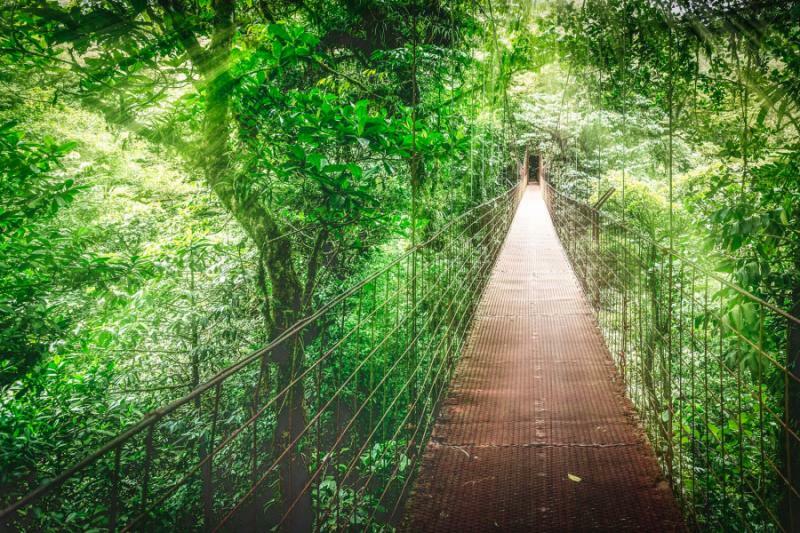 The natural grandeur of Costa Rica is hypnotic, morning, noon, or night. At breakfast, you notice the color of the fresh papaya, which reminds you of the sunset over the Pacific from the previous day. You enjoy the balance of a sweet and sour passion fruit juice accompanying a delectable breakfast of pancakes dressed in coconut syrup. You meet your guide in the lobby and mount your horse eager to traverse the private trails of the Tocori Ecological Reserve. Pass through a rural farm where cows graze on the tall grass. The cows stop and watch as you pass, leaving the fields behind for the forest. 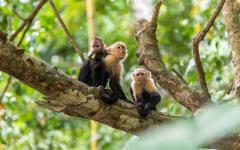 You listen to the familiar calls of the jungle blending with the sounds of parakeets and woodpeckers. The scent of jasmine rises from the underbrush. You dismount your horse and continue along the trail on foot. Your guide points to the hidden marvels of the landscape, including the Touch Me Not plant. When you rub the stem of the leaves the plant closes, returning to its original state within minutes. Your guide explains that the leaves close to catch raindrops or to defend itself from harm. When you reach the falls, you hear the roar of the whitewater spilling down the cliff, splashing against the rocks. The wall has smoothed over the years due to the constant rush of the waterfall. Your guide cuts open a pineapple to offer you a perfect, juicy slice for you to enjoy in the company of the cascade. At breakfast, you savor the flavor of fresh passion fruit juice. 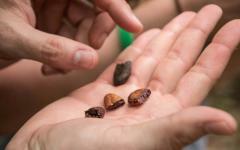 You dine on a traditional gallo breakfast to savor a final authentic taste of Costa Rica. The verdant colors of the rainforest radiate against the backdrop of the indigo Pacific. 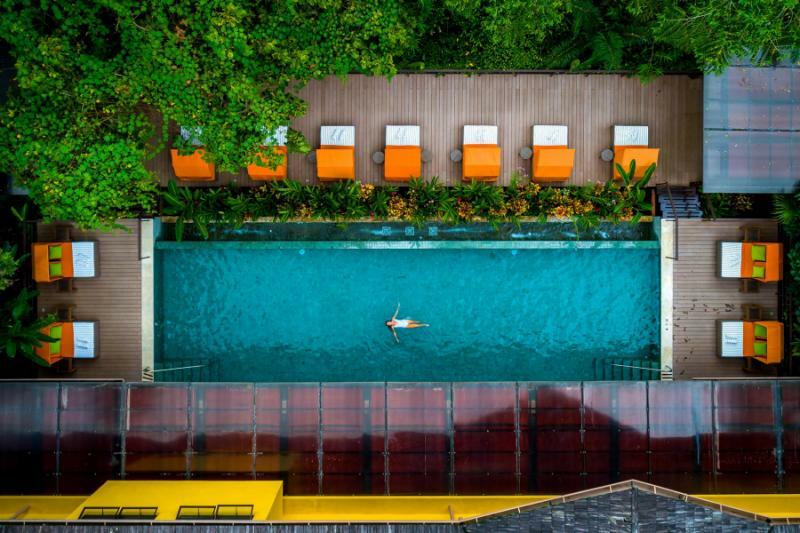 You recall the splendors of your time exploring and experience the scenery, relaxing in the hot springs at Arenal, and touching the warm waters of the Central Pacific. Your private transfer greets you at the hotel after the meal and escorts you to Juan Santamaria International Airport for your flight home. "very nicely planned and fulfilled trip..."